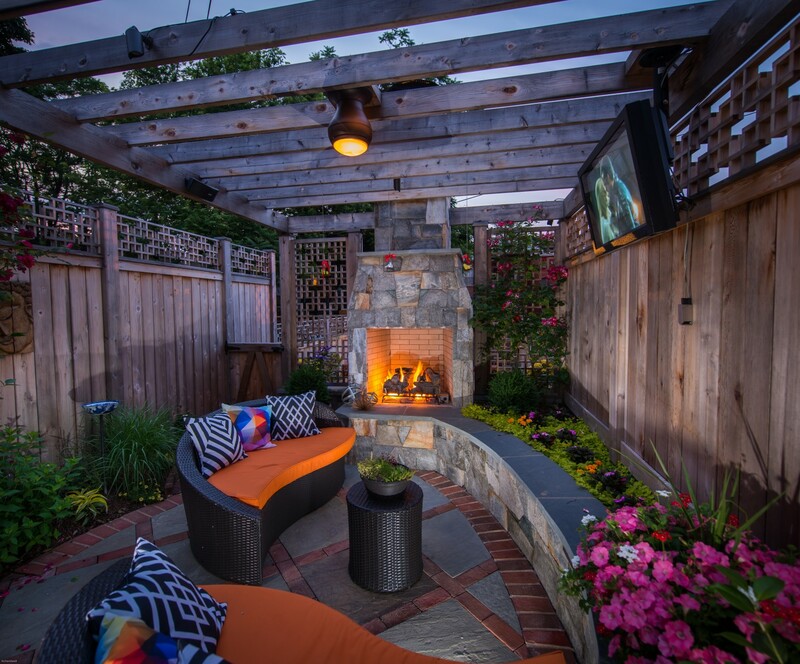 An outdoor “den” in the city includes a pergola, fireplace, fan and television. We are pleased to be recognized by the Washington Post for the GardenWise design concept of Garden Rooms, creating outdoor spaces like true living “rooms”, as functional and comfortable as indoor ones. The extra attention to detail that J. Mark White always includes, makes the most of your entertaining and relaxation time, but especially helps to maximize the effective living area in what are usually space-challenged urban homes.